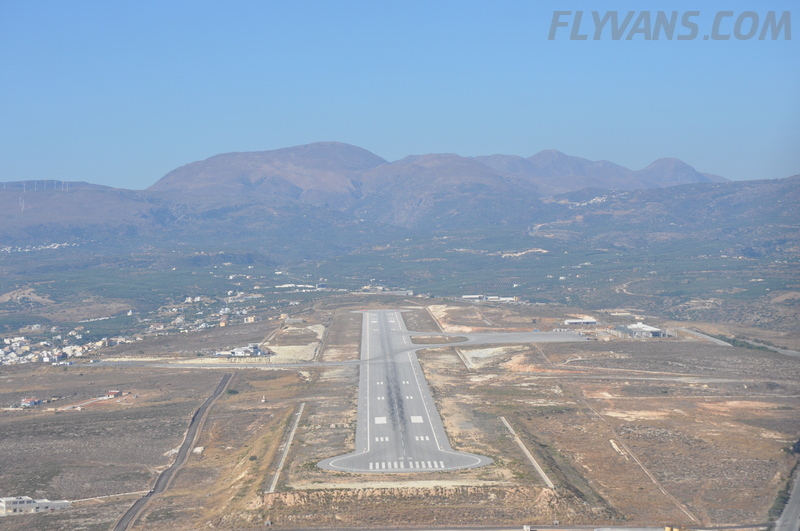 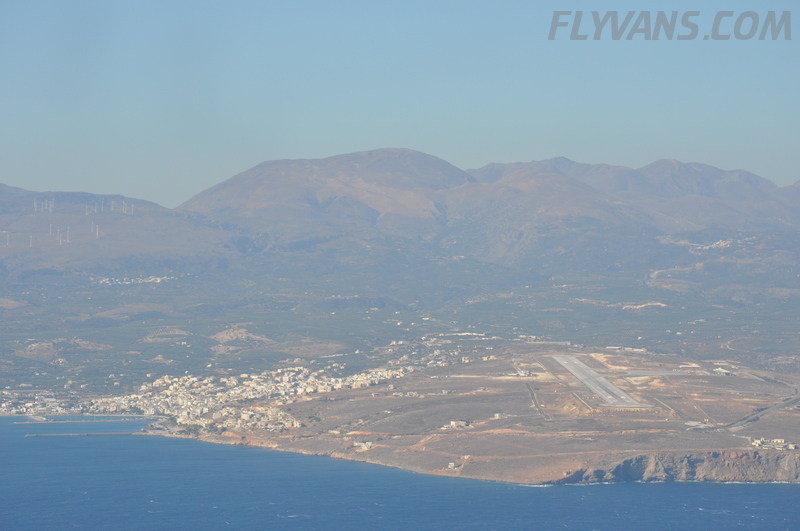 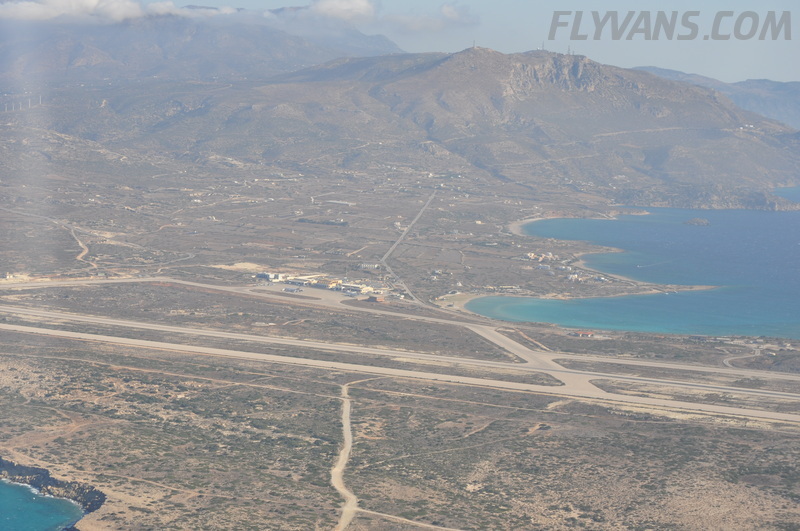 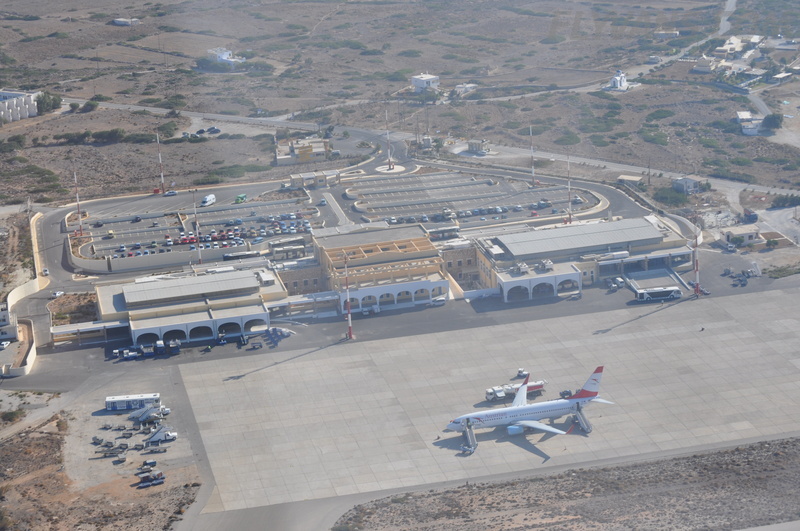 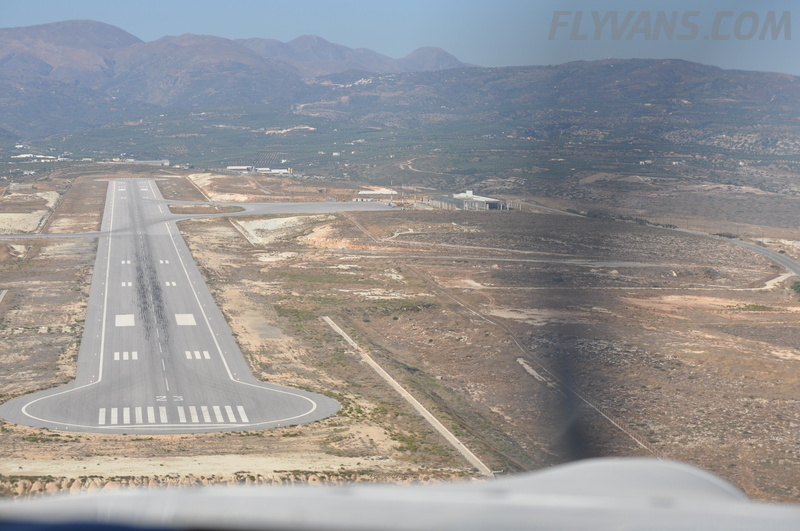 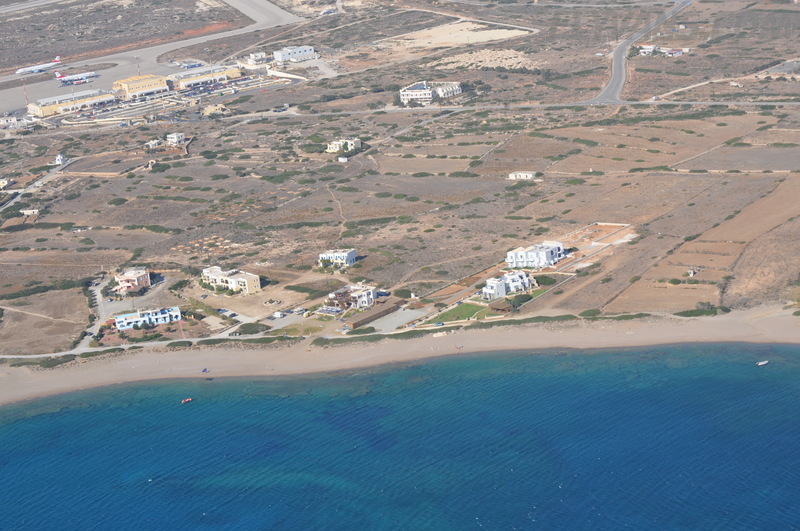 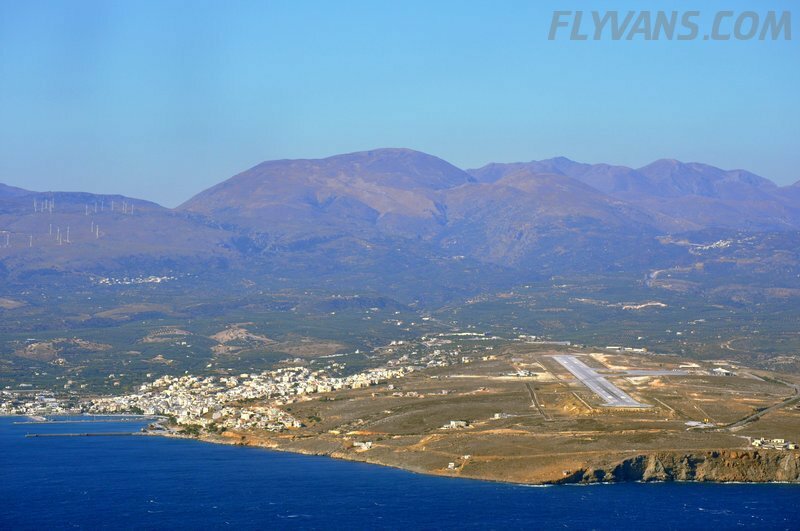 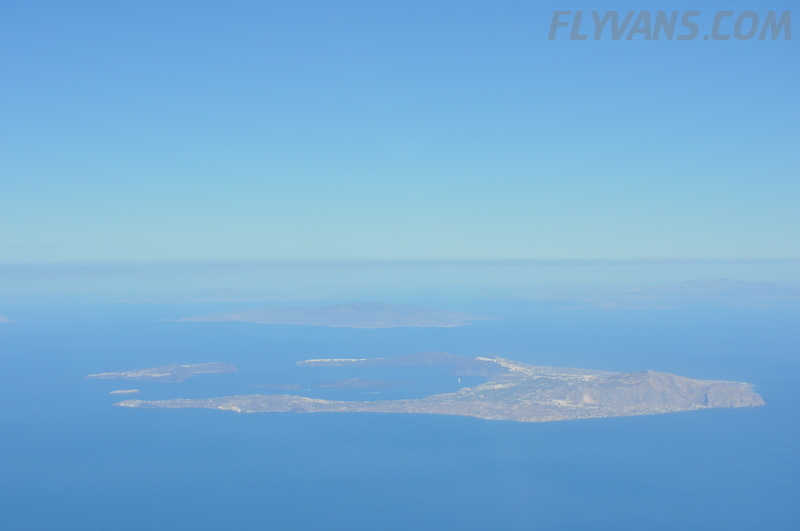 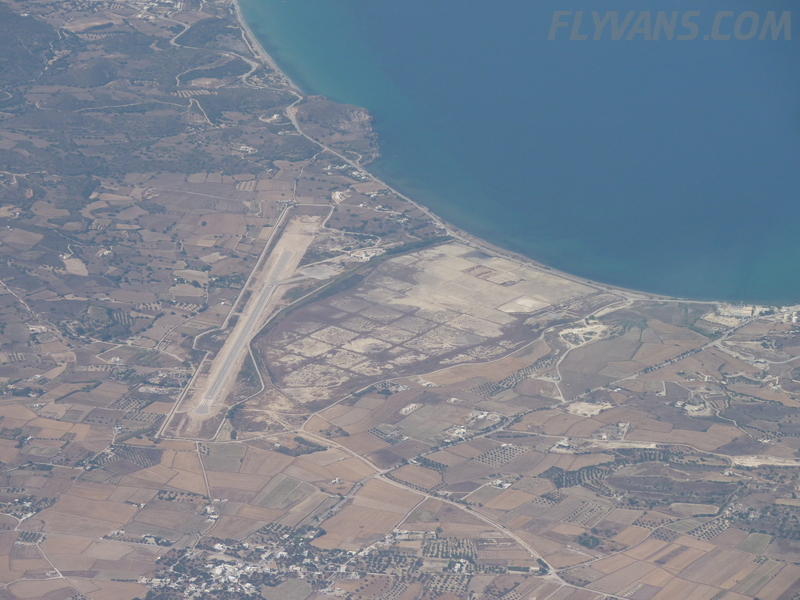 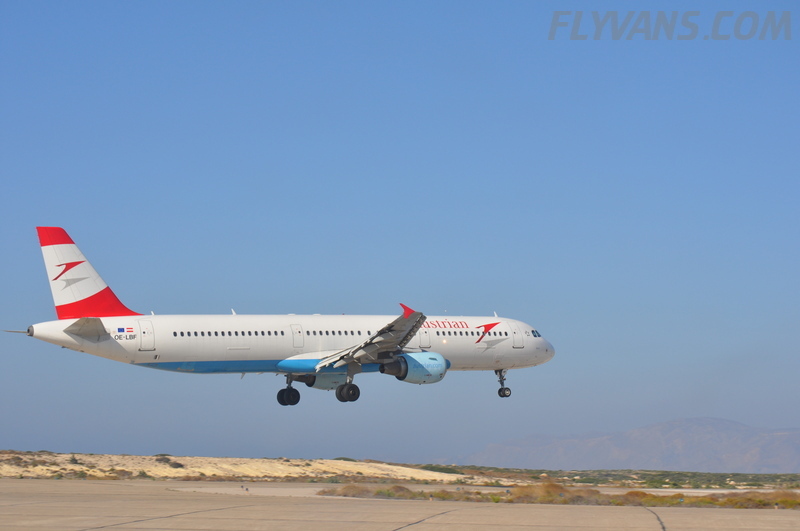 Since all our places of interest in Karpathos were very close to the airport, we were able to get some nice pictures with a wide rigth turn departure. 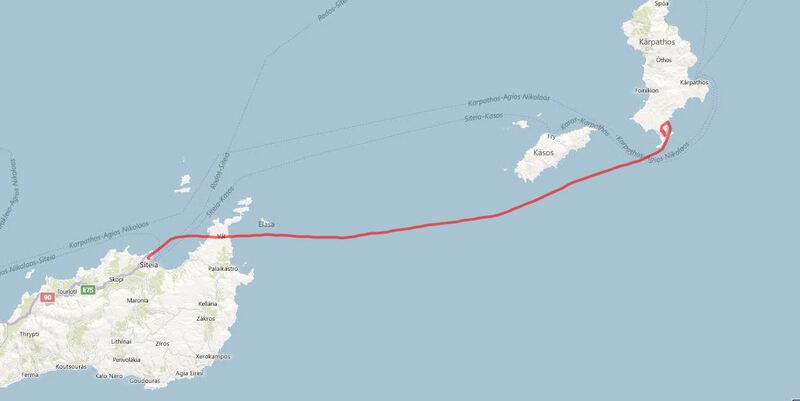 Also, Karpathos proved our simple yet efficient gust lock designs… They held up to the strongest winds and gusts of at least 40kts during our stay without causing any scratches, damages, falling apart or whatever nasty thing could happen. 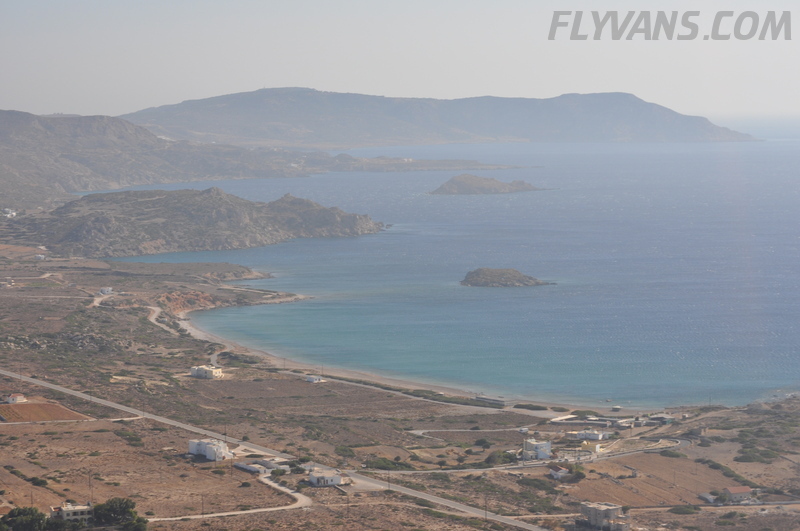 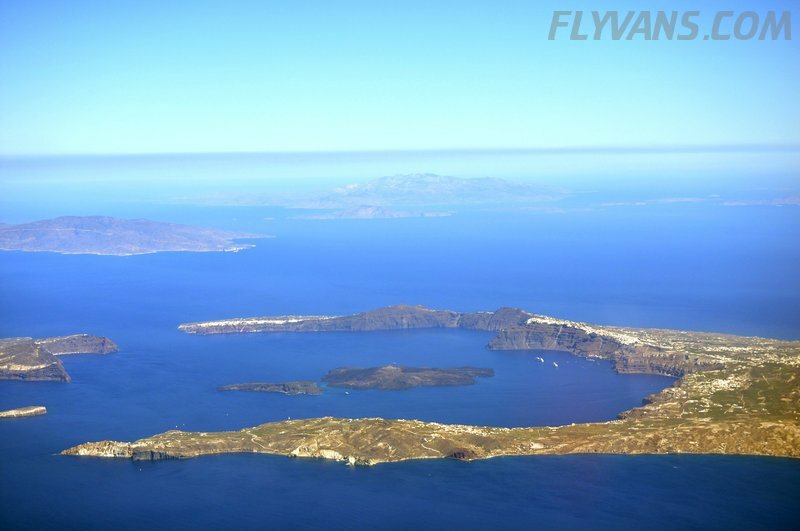 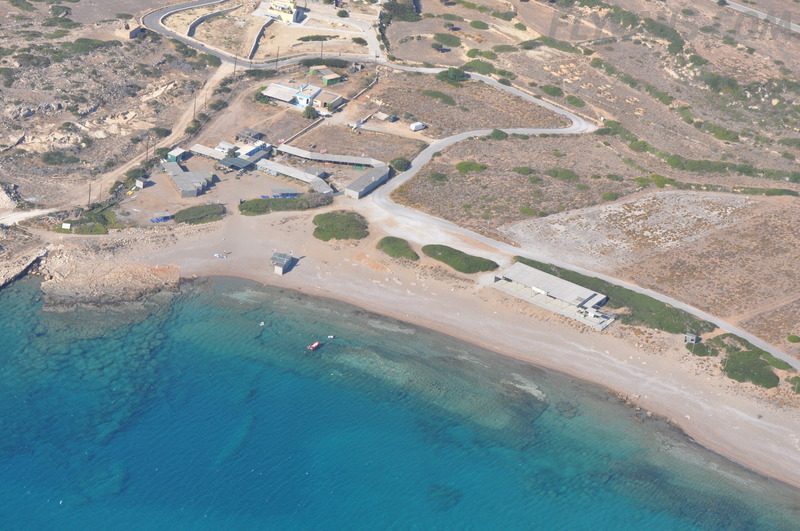 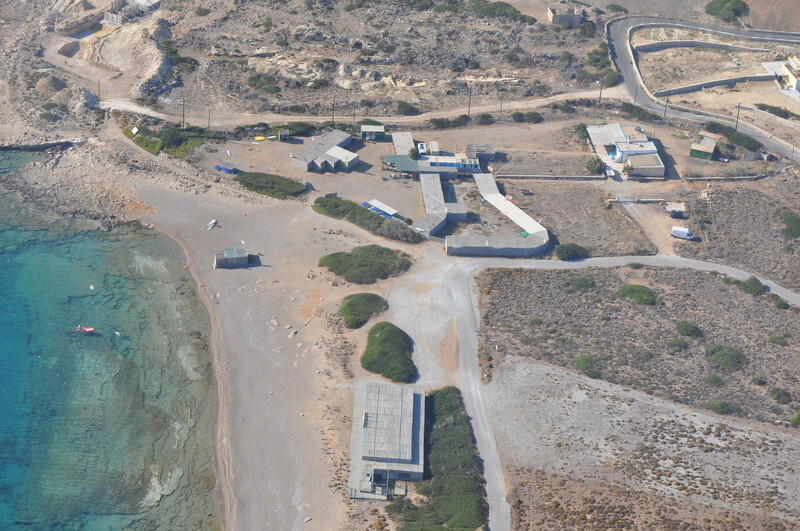 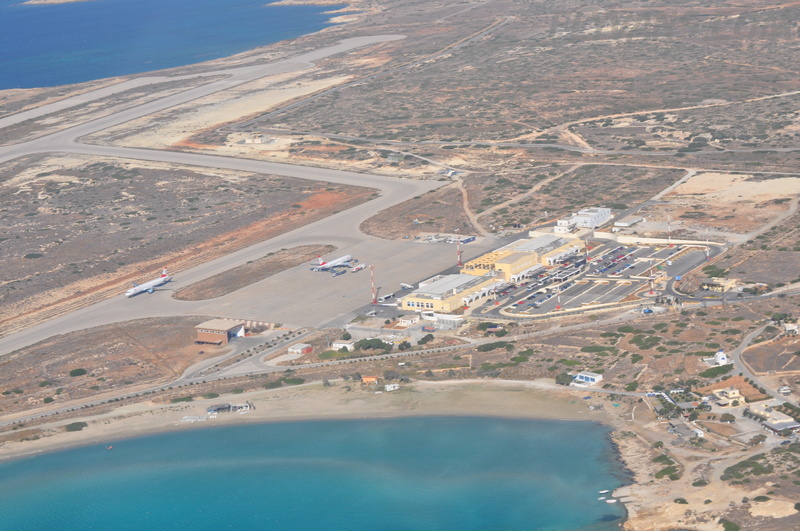 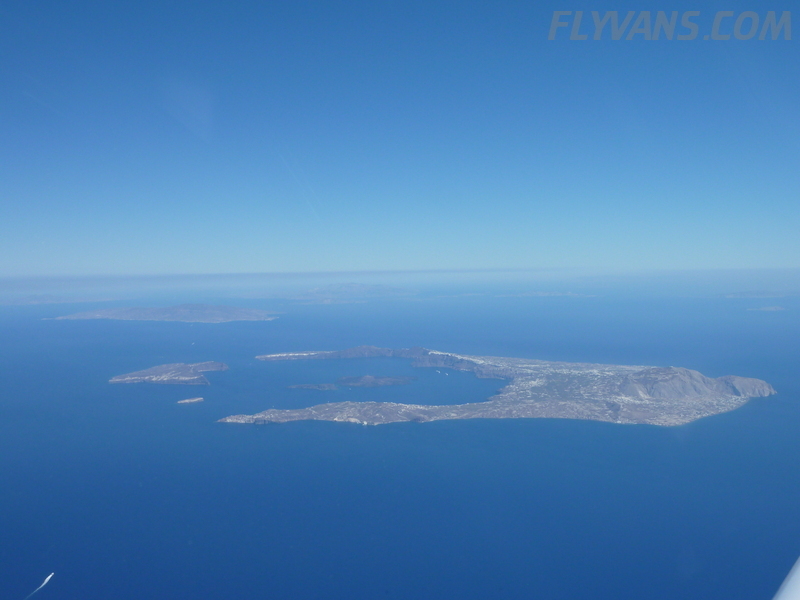 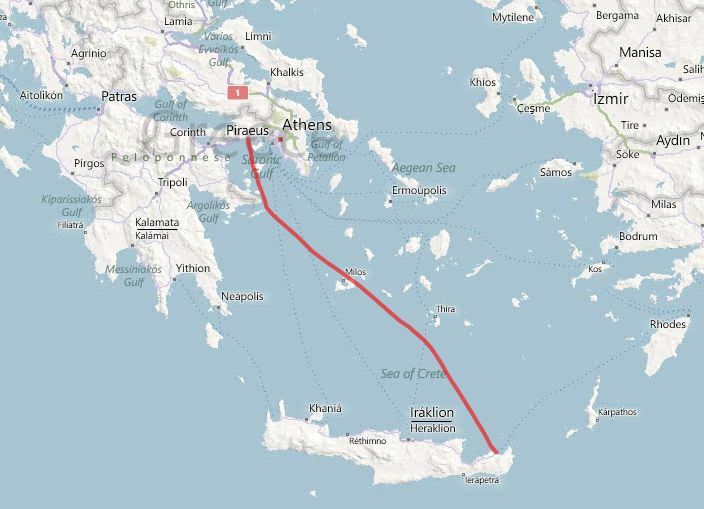 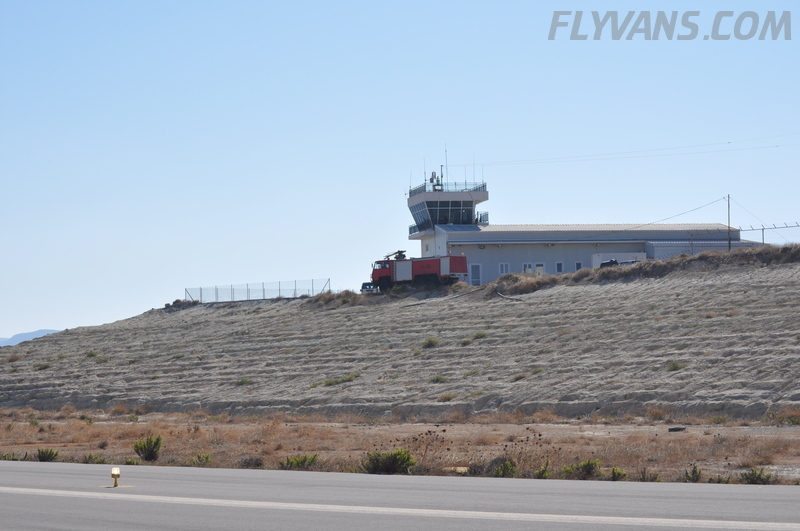 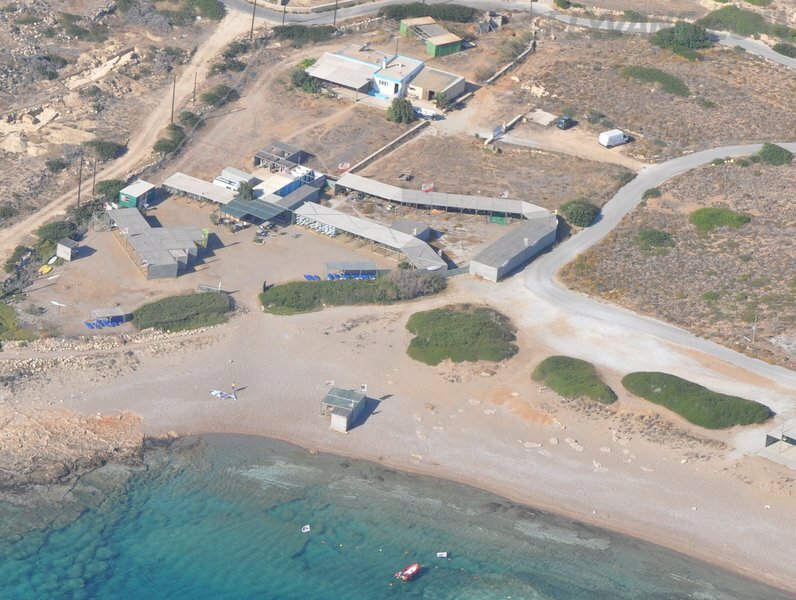 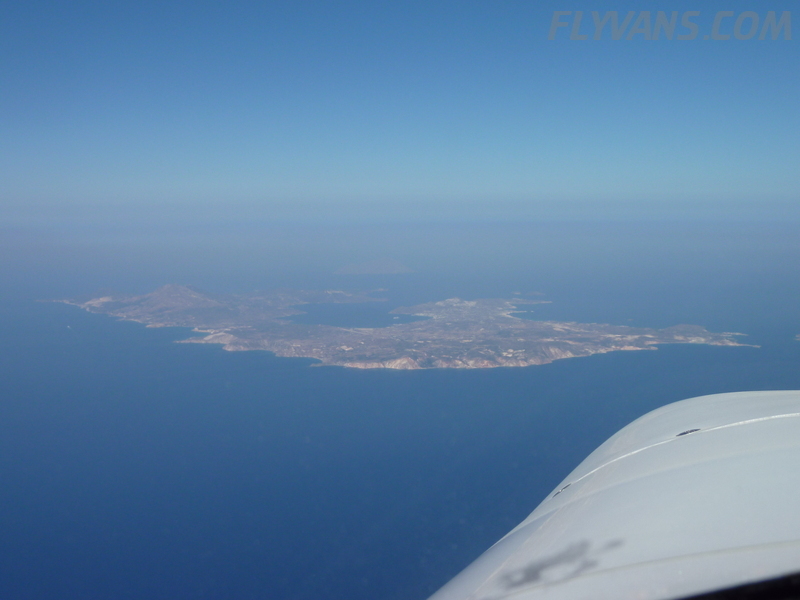 It was only a short flight to the local fuel station, Sitia. 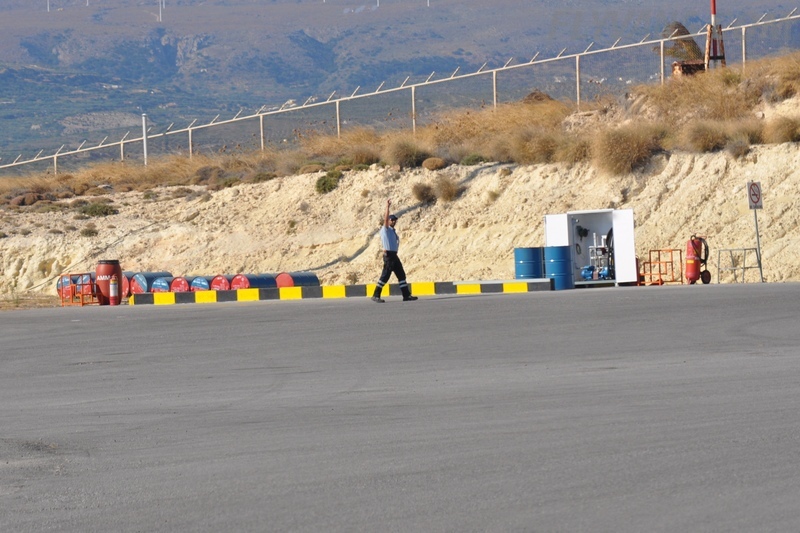 The wind situation there however was quite extreme. 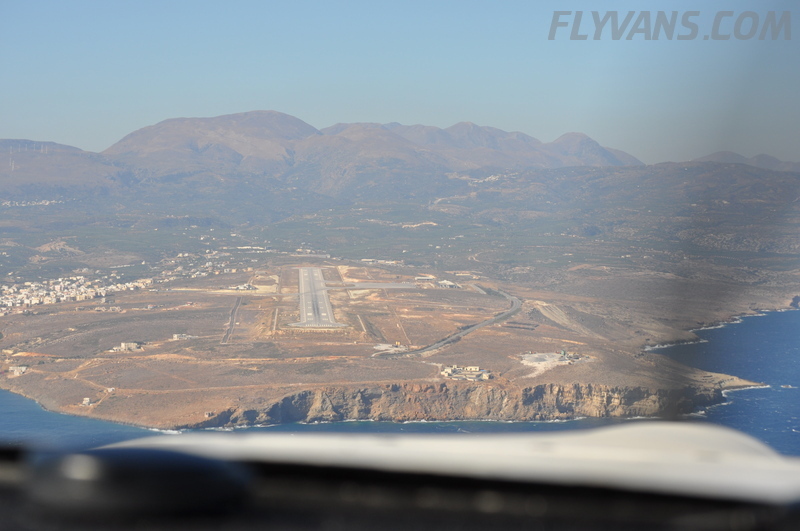 With 300° at 30kts for RWY 23. 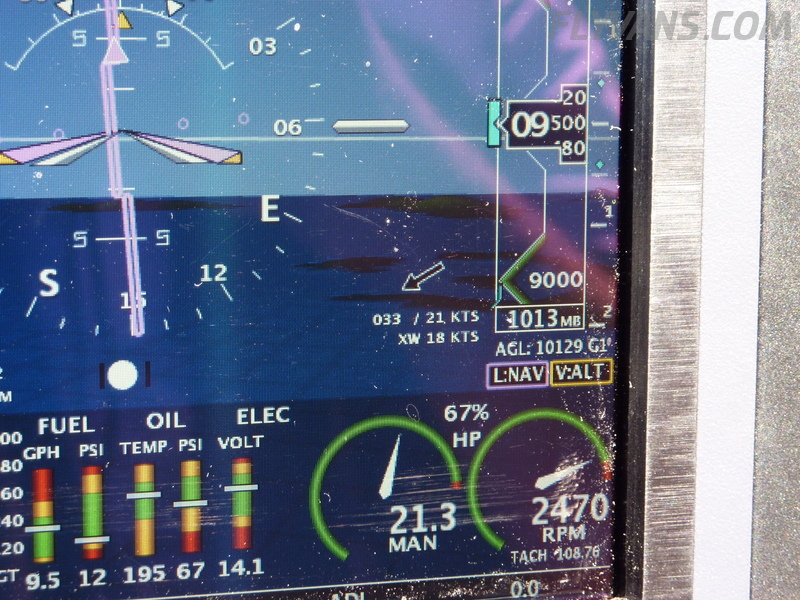 You can see the extreme crab angle in some of the pics. 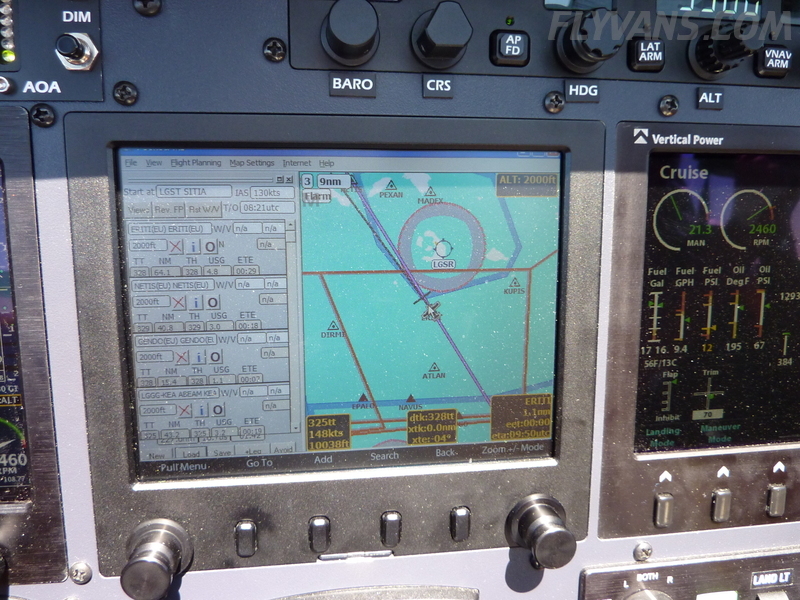 GPS puck to spinner tip is the reference aircraft centerline. 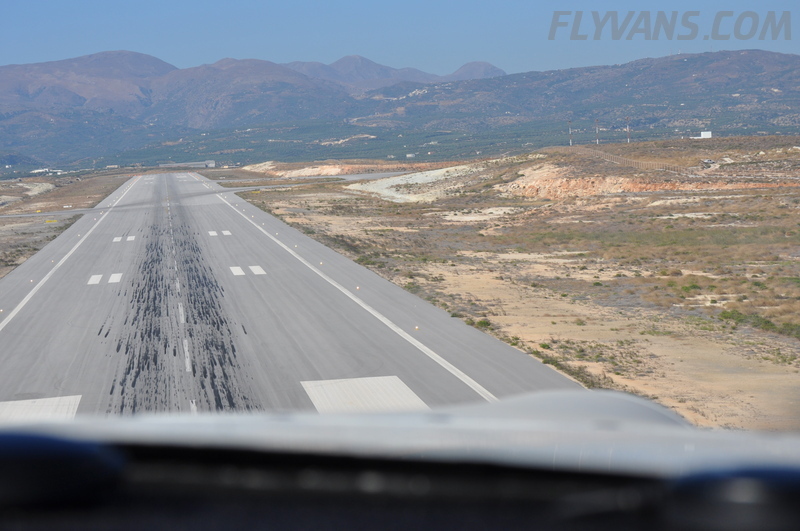 And yes, it was a smooth landing and yes, it was even a very well established approach. 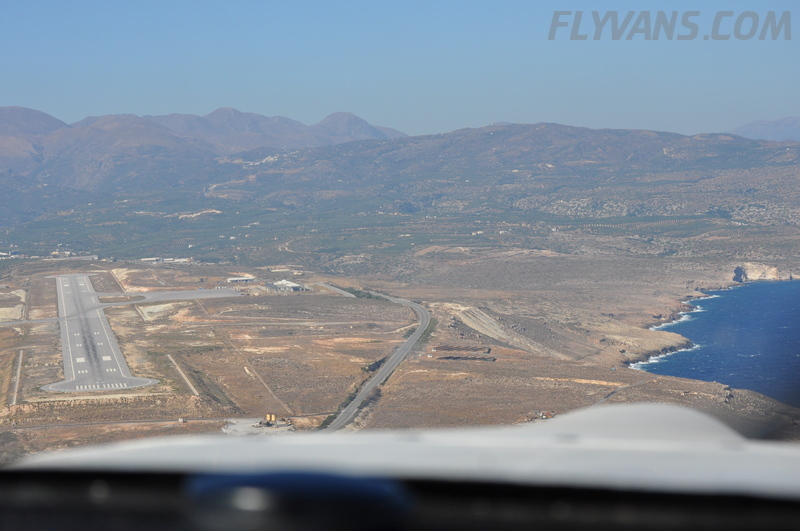 Wing low decrab in the flare works brilliantly with the RV, much better than with some other planes i’ve flown. 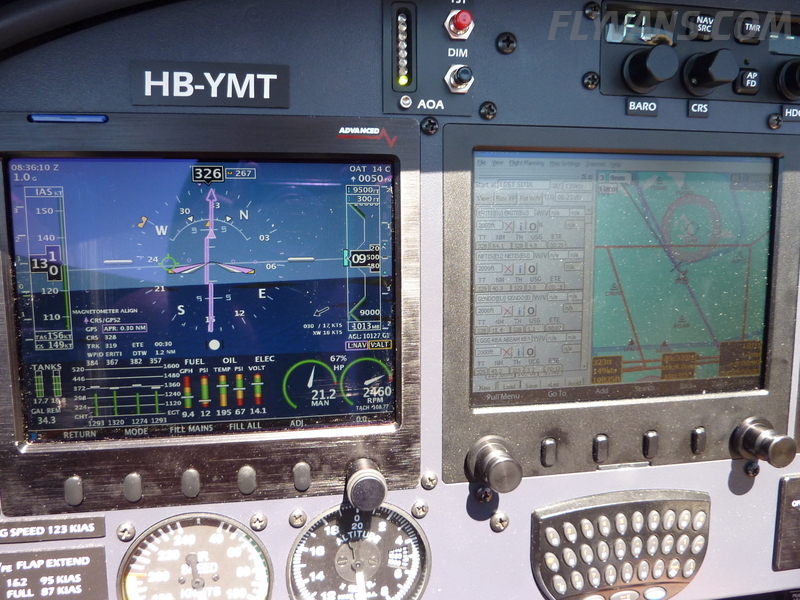 And yes, I am glad we built the -A version, and no, I wouldn’t want to do it in a taildragger. 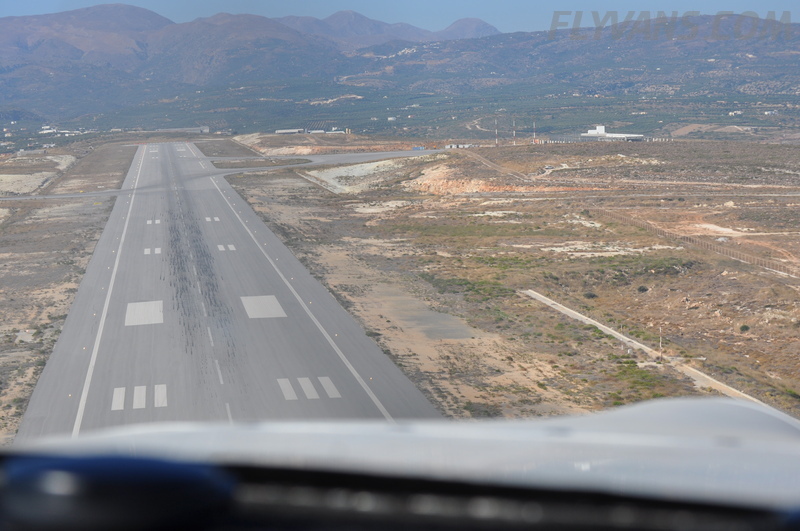 The ground handling after the landing was trickier than the landing itself.